809 S. D St. : VIEWS, VIEWS, VIEWS! 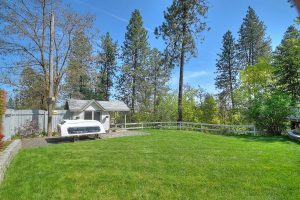 809 S. D St. – Spectacular home nestled in the trees with great views of Spokane. 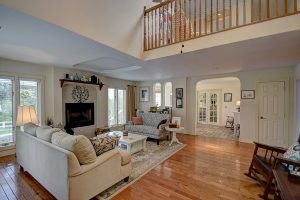 Charming and updated 2 story home. 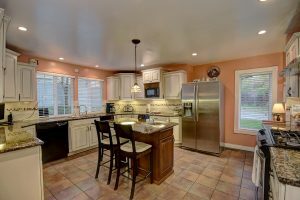 Chefs kitchen with gas stove, island and wet bar sink.Formal LR and DR. Family room with main floor laundry.Guest room & 2 baths.Gas & wood fireplace.Head upstairs to Master Suite, walk in closet,jetted tub,and deck. Sitting area for office. Two bedrooms and full bathroom. Attached 2 car garage with 2 sheds. Amazing yard,pergola, & sprawling decks with views.